The idea behind the operation and the shorter, bearded, tattooed brother. Levi was born and raised in a small town in southern Oregon called Roseburg. He grew up playing many sports, but basketball was always his first passion. Unfortunately, two ACL surgeries later, he could no longer play basketball. He then picked up golf towards the tail end of high school and fell in love with the sport. To this day... it is by far his favorite sport to play. A few other hobbies that Levi enjoys are hunting, playing and listening to music, eating meat, literally anything to do with fantasy football, reading the occasional sports almanac, and spending time with friends and family. He am married to his best friend and beautiful wife Katlin. They have been married for 5 years and recently had their first kid, Piper. Levi works as a "Sales Guy" for a real estate software company called Carrot and writes for Dynasty League Football (DLF). The High IQ of the operation and the taller, more tan brother. 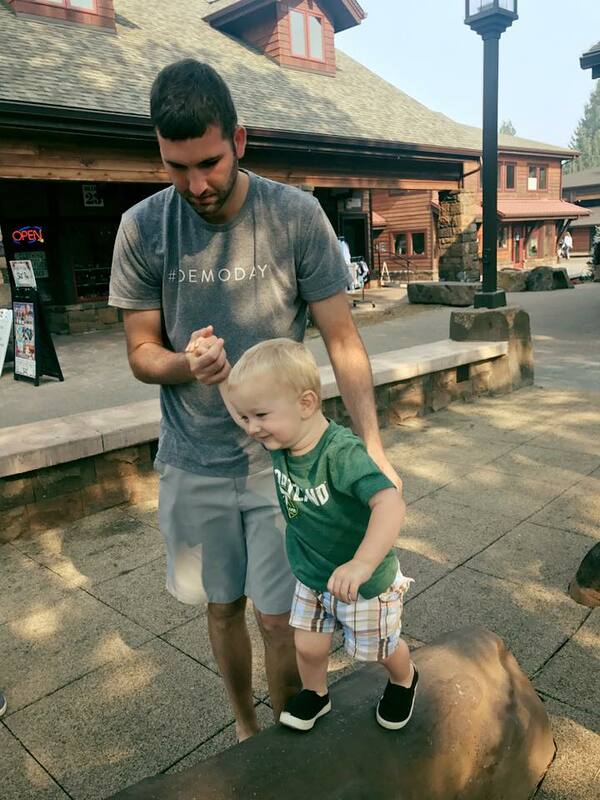 Jeremy was born and raised in Roseburg, OR and is now a CPA. He serves in several different capacities of ministry at his church, as well as treasurer for a couple of non-profit organizations. In his free time, he enjoys music, golf, basketball, cycling, hiking, hanging out with his son Chip and daughter Corrie, and traveling with his wife Abby. He is a sports junkie, wasting his time in several dynasty fantasy football leagues.